Want tosave 10,37 kn on this order and become Loyalty program member? Is there any official medicine always the answer? "It will be of great help to be a handbook of DOMESTIC HERBS. In it, the centuries-old knowledge of traditional folk medicine is collected in one place. 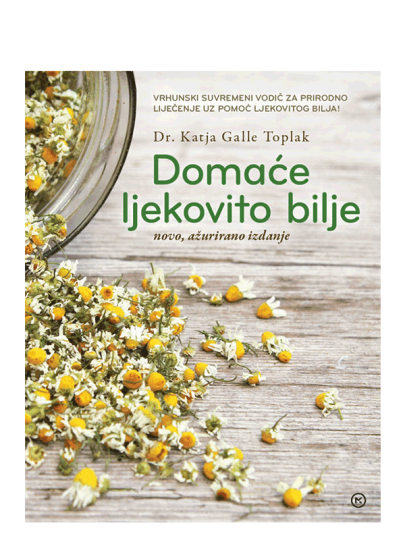 Here you will find everything you need to know about medicinal herbs that can be found in Croatia. You will know more than 120 herbs, and most of all the herbs that are commonly used in our puppy and official medicine, whose work is well explored, and the effectiveness confirmed by clinical tests.